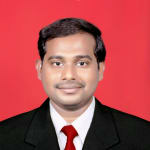 Dr. Vijay Bathina is a trusted Physiotherapist in Madhapur, Hyderabad. He has been a practicing Physiotherapist for 12 years. He has completed Masters In Physiotherapy . You can consult Dr. Vijay Bathina at Dr.Vijay Bathina in Madhapur, Hyderabad. Book an appointment online with Dr. Vijay Bathina on Lybrate.com. Lybrate.com has an excellent community of Physiotherapists in India. You will find Physiotherapists with more than 41 years of experience on Lybrate.com. You can find Physiotherapists online in Hyderabad and from across India. View the profile of medical specialists and their reviews from other patients to make an informed decision. Recently we were blessed with baby boy on June 8th. it was forceps through delivery happened. But my son back shoulder some shaping not clear so that he is turning head in one direction. Please advise. Nothing to worry it will take some time and he will be alright chk with a pediatrician who was good at developmental delay problems.